HTML is what the internet uses to make sure your website is relevant. Not only is it the code that dictates how your homepage looks, and makes sure your retail option is secure enough to store card details, but it increases your visibility tenfold. Try to include as many keywords as possible in your post links, as it’s these (as well as the first 200 or so words) of the post that search engines use to keep you displayed at the top. 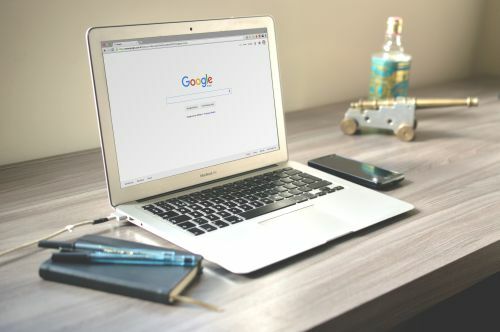 If you have a business, one of the best moves to make is to submit your business name and website to the listings each major search engine out there offers. This is completely free to do, and means anyone searching for even anything remotely connected to your name is going to get you popped up. Business listings are local, so people within reach of you in a certain mile radius are going to find you most of all. This means some potential immediate custom, and can actually better your advertising strategies. If you know where your customers are coming from, you can better direct any marketing campaigns. It’s one thing to create a social media page, but it’s another thing entirely to keep that page active and updated whenever you can. So always make sure you’re answering customer queries and posting statuses regularly, at least once a week. It’s not an actual social page for you to totally interact conversationally with other people, but it’s a good way to build a community. Try to be approachable, and make sure your response speeds are displayed prominently. At the same time, try to match these response times up with the most active periods of the day. These vary from platform to platform, so take a different approach to each one. Making your online presence visible is simple to do when you consider your user base and where they come from.